You’ve got something unique to tell the world. What better way to get your message across than sewing your words into a quilt? 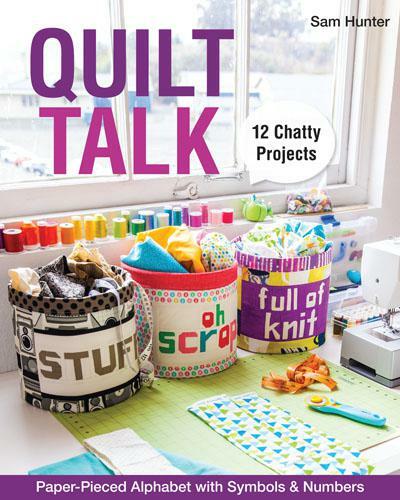 Fiber artist and quilt designer Sam Hunter teaches you how to say it all with 12 new projects featuring modern, paper-pieced text blocks. Sam covers everything you need to know about paper piecing, choosing fabrics, and designing your own quilted words. Use Sam’s designs to get started, and then stitch up your own words to give any occasion the ultimate personal touch.